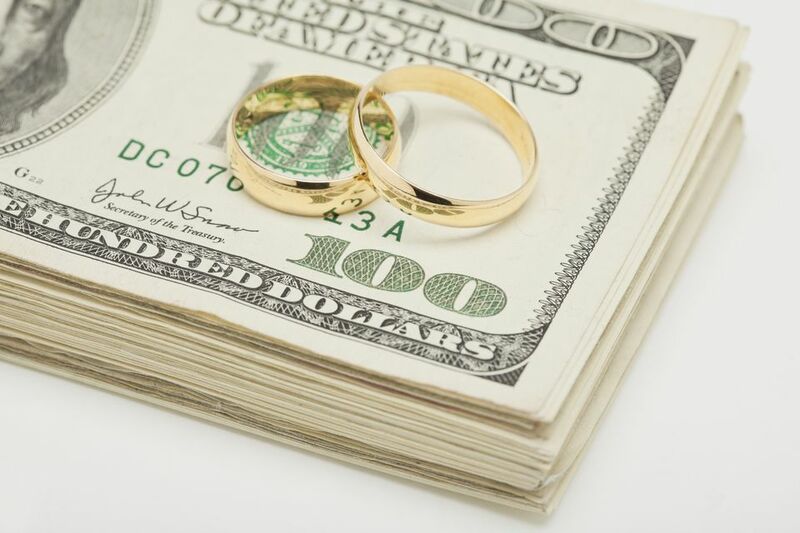 What Is a Wedding Dowry? A dowry is the money or goods that a bride's family gives to her new husband and/or his family when they are married. Other terms associated with the exchange of wealth during a marriage are "bride price" and "dower." A bride price refers to money that a groom would pay to his bride's father in exchange for her hand in marriage. The dower is the property that is settled upon for the bride at the time of marriage so that she is taken care of should she survive her husband. The parental giving of a dowry in exchange for a daughter's hand in marriage is an ancient custom that has been practiced all over the world. It still continues in some parts of the world today. Many cultures still expect, or in some cases, demand a dowry as a condition to accept a marriage proposal. This is still practiced in some areas of Asia, Northern Africa, and even certain regions of Europe. The tradition of a dowry has decreased over time and it is no longer a common custom in developed countries or urban areas. During the wedding ceremony, the custom of giving away the bride was an acknowledgment that the dowry had been negotiated and the bride had her father's blessing. In ancient times, a hefty dowry could serve to increase the desirability of a woman for marriage. Men could potentially consider a marriage proposal based on the size of their expected dowry in order to build power and wealth for their own families. In certain cultures such as Ancient Rome, the father was basically required to provide every daughter with a dowry appropriate to his means. If a father was unable to give a reasonable dowry for his daughter's hand, a relative or family friend might offer to help them out and provide the dowry on his behalf. In ancient times, a dowry was given to the groom and his family in exchange for the bride as a way of ensuring that she is properly taken care of and comfortable. In those times, it was also expected that the bride would leave her family home to reside with or near her new husband's family. This gift would serve to provide a bit of financial security in the case of widowhood and was thought to eventually provide for the couple's future children as well. A dowry could also be considered a conditional offering that would be expected to be returned in the case of divorce, abuse, or another mistreatment of the bride. The dowry is intended to help set up the couple's new household, especially in cultures where it is rare for a woman to work outside the home. If a woman died without having any sons, her husband would have to return the dowry to the bride's family, deducting the value of the bride price. The bride is also entitled to her entire dowry after her husband's death and the dowry is only inheritable by her own children. What Was in a Typical Dowry? A dowry could be made up of any combination of valuable things. Dowries often consisted of money, jewels/precious metals, land/property, home furnishings, and more. In some cases, a groom had to ask his bride's permission to use or sell certain items contained within the dowry, such as land or property. This dowry custom evolved first into a "trousseau" or hope chest. A trousseau is the collection of goods that a woman gathers in preparation for her future marriage. She brings the chest with her to her marital home. Ultimately, the modern bridal registry and bridal shower are later evolutions of the traditional dowry. What is a wedding recessional? Why Do You Need a Marriage License Before the Wedding? Who Should Pay for Wedding Flowers? What Are the Essential Parts of a Wedding? What Is a Wedding Reception?